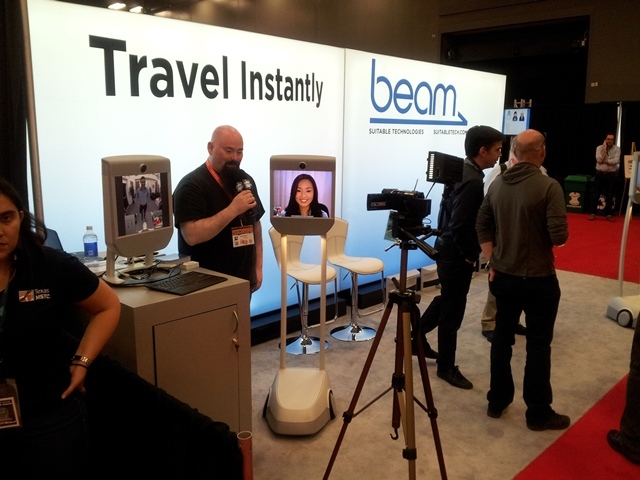 As last year, ProTexting participated in this year’s South By Southwest (SXSW) interactive. I wanted to take some time and share a few great things that I saw and experienced this year at SXSW. This year SXSW Interactive was different from the last few times that we have been there. The organizers toned down the heavy hitter bands and mega stars appearances, the whole conference felt calmer and more grown up. This was all a part of a master plan to bring the focus back on disruptive innovation rather than having people searching for the hottest parties and concerts each day. Don’t get me wrong, the partying and the social activities, SXSW is famous for, were still there, but it really felt like the focus had shifted back to it’s main purpose – a glance at the future of technology, entrepreneurial spirit, and social improvements. Elon Musk spoke about going to Mars and coming back on the same space rocket. He had a good point; space travel is the only form of transportation that requires a new ship each time a mission is launched. Imagine if you had to get a new car each time you had to drive somewhere. Elon also spoke about the electric car being the future of ground transportation. 3D printing, 3D cameras, Google Glasses and other hardware driven ideas were also dominating this year. There were teams on the streets of Downtown Austin carrying 3-D printers and materializing 3-D figures in front of everyone. Google did an impressive demonstration of its Google Glasses technology as well. Crowdfunding may be the most disruptive innovation for the entrepreneurial world. It is not a surprise that this year SXSW was full of panels and discussion on this topic. Access to more accessible capital opens a whole new opportunity for the creative entrepreneurial minds. Kudos to SXSW organizers for implementing the new quicker checkin and badge pick up. The difference was unbelievable. It took me 4 hours to get my badge last year. This time around I had a badge in 10 minutes. Thank you SXSW! 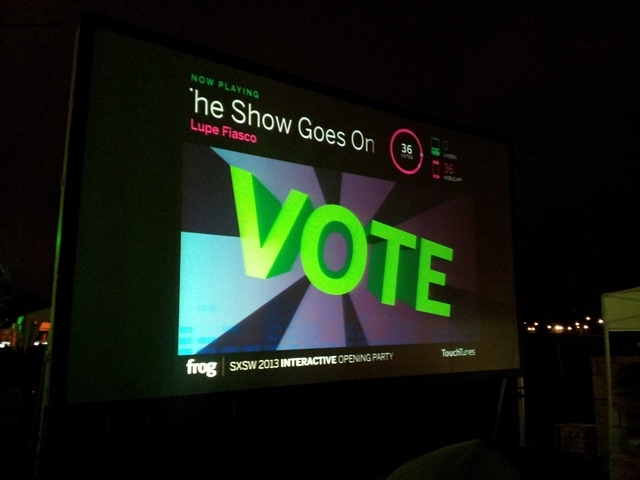 Because we are in the Mobile Marketing and Engagement industry, I have to mention that many of the events around the SXSW campus had an element of interactive real-time mobile crowd voting. ProTexting itself sponsored the mobile voting for the HATCH Startup Competition. More on how we did it, and what challenges we faced and solved will come in our next blog. Until then, share your own experiences from SXSW. Let us know if you agree with what we felt were the main differences this year.